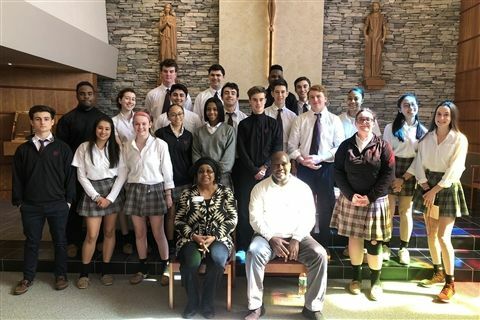 college preparatory school in the Lasallian tradition. On March 22, St. John’s Cadet Corps announced the names and ranks of next year's regiment leaders, including the next Cadet Colonel: Andrew Timmer ’20. 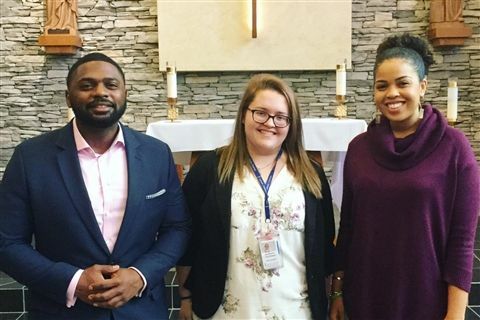 On March 8, Mary McCarthy ’12, Jillian Griffith ’10 and David Street ’04 returned to campus to speak with the senior class about their service careers. Even though each has pursued a different profession, they are all driven by their passion to build community through helping those in need. From March 4-8, St. John’s held its 11th annual Poverty Education Week (PEW). 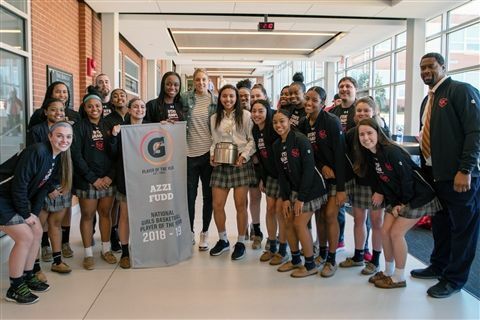 On March 12, Gatorade announced Azzi Fudd ’21 as the National Girls’ Basketball Player of the Year for 2018-19. She is the first sophomore to earn this honor for girls’ basketball, and the first Cadet to be named as a Gatorade National Player of the Year. 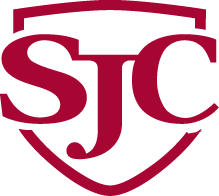 St. John’s is pleased to offer a series of articles through which faculty, staff and students share their Lasallian experiences. 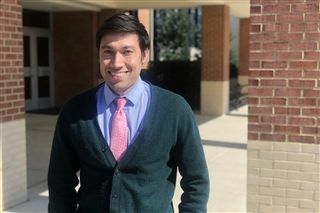 This month, religion teacher Jonathan Navas shares his thoughts on the season of Lent. 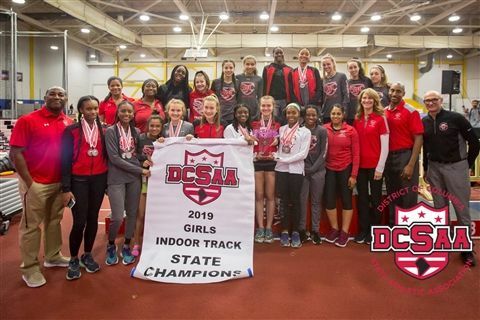 On Feb. 12, St. John’s girls’ indoor track and field team won their second consecutive DCSAA championship, and Alicia Dawson ’19 and Mordecai McDaniel ’20 each earned MVP honors for their performances at the championship meet. 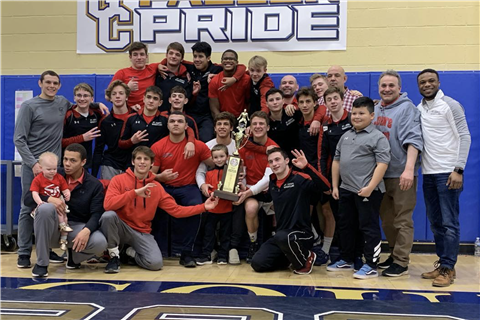 On Feb. 2, St. John’s varsity wrestling team won a third consecutive WCAC championship and earned six individual league titles. 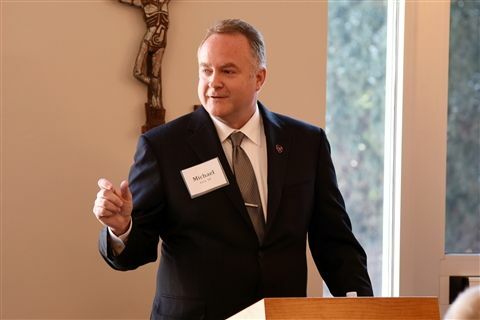 On Jan. 31, St. John’s welcomed Michael Kelly ’88, vice president of athletics at the University of South Florida and St. John’s trustee, as the guest lecturer for the annual Distinguished Speaker Series.